Enjoy Indian cuisine at Kavi Restuarant, a restaurant which features a bar, or stay in and take advantage of the 24-hour room service. Buffet breakfasts are served on weekdays from 7 AM to 10 AM and on weekends from 7:30 AM to 11 AM for a fee. 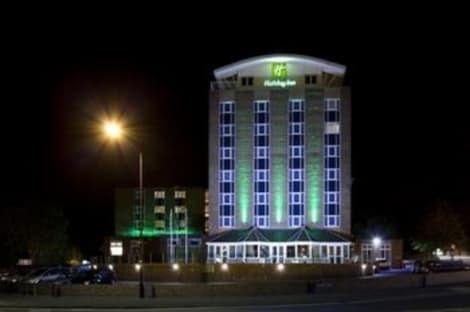 A family-friendly hotel in Kenilworth with an Italian restaurantHoliday Inn® Kenilworth - Warwick hotel is in the heart of Warwickshire, less than 15 minutes from the M40 and M6 motorways.Birmingham Airport (BHX) is a 20-minute drive, and Coventry station is within easy reach. A pleasant walk gets you to Kenilworth Castle and Elizabethan Garden, and Warwick Castle is a short trip by car. You can step inside the house where Shakespeare was born in Stratford-upon-Avon, and then watch a play at the Royal Shakespeare Theatre. See a game at the Ricoh Arena, home of Wasps rugby and Coventry City football clubs, reachable by car in 25 minutes. If you’re hosting an event, the hotel’s four flexible conference rooms provide space for up to 150 attendees. Business guests are within easy reach of Warwick Technology Park, the University of Warwick and exhibitions at the NEC.At this hotel you can enjoy:- Free Wi-Fi- 24-hour room service- Free parking- A mini-gym- Kids stay and eat free212 Kenilworth Restaurant serves a full English breakfast, plus homemade pizza and pasta for lunch and dinner. Grab a latte from the Starbucks store and relax on the patio, or unwind with a drink in the hotel's stylish bar. Your quiet, spacious room comes with a choice of soft or firm pillows. This 3 star hotel is located in the city centre of Kenilworth. It is a short drive away from the Kenilworth Castle. The Hotel has a coffee shop. All 29 rooms are equipped with hairdryer, ironing set and air conditioning. With a quiet woodland location on the outskirts of Kenilworth, Woodside is just a 10-minute drive from historic Warwick. 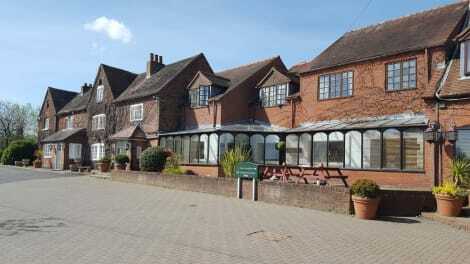 The hotel has an elegant restaurant and a modern leisure centre.Orchard - The Orchard Restaurant is an elegant dining room overlooking the venue s impressive front lawn.The bright and airy bedrooms each have a large work area. All rooms are en-suite and feature Coffe and Tea facilities, Bathroom amenities, Iron, Color Satellite TV, free WiFi, Alarm clock, AM-FM radio; and the bathrooms have luxury toiletries. Guests can relax in 32 acres of peaceful grounds, and there is also a sauna, air-conditioned gym and indoor pool. Leisure facilities include tennis courts, a 9-hole golf course and a croquet lawn. Traditional evening meals at Woodside are served in the spacious Orchard Restaurant, which has views of the front lawn. Cooked breakfasts are served daily, with lighter options also available. Romanticised by Sir Walter Scott in his 1821 novel of the same name, Kenilworth lies in the heart of leafy Warwickshire and demonstrates that there's more to this part of the world than Stratford-upon-Avon, Warwick and Leamington. Book a Kenilworth hotel with us and discover a town steeped in history. Once England's largest fort, Kenilworth Castle is an impressive Norman ruin that was once the home of Elizabeth I's great love, Robert Dudley. In 1575 Dudley created an ornate palace in the queen's honour and its Elizabethan Gardens have been restored to their former grandeur and beauty. Kenilworth is blessed with an abundance of walks. Whether you take a stroll among its four nature reserves, the ancient woodland of Crackley Woods, or Abbey Fields, set in the valley of Finham Brook, you'll find plenty to see and admire in the town. A five mile car trip east takes you to the grounds of Stoneleigh Abbey, a superb example of a Jacobean country house that has been visited by King Charles I, Queen Victoria and Jane Austen, among others. You'll have the opportunity to tour the West Wing of the house and wander around the beautifully landscaped gardens and the splendid surrounding countryside. There's a wonderful choice of eateries in Kenilworth encompassing a wide range of cuisine from Indian, Chinese and Thai to Italian and French, and there are traditional taverns offering great pub fare. For a spicy treat from the East, Le Raj Spice prides itself on its friendly, attentive service and imaginative dishes which use no artificial colours, stock or food additives. A popular little café, the Modern Kitchen, lives up to its name with its contemporary trappings. Fresh coffee and cakes are sold and there is a lunchtime menu. Michelin-starred gastropub, The Cross, has been renovated to reveal its origins as a 19th century tavern. Locals and visitors have praised its food, diligent staff and relaxed atmosphere. The town's High Street is dotted with independent stores, craft shops and well known retailers. Each Thursday you'll find the thriving Kenilworth Market at the front of Abbey End. A pleasant walk from the High Street through 70 acre Abbey Fields will take you to the Talisman shopping centre where you'll find more well known retailers.